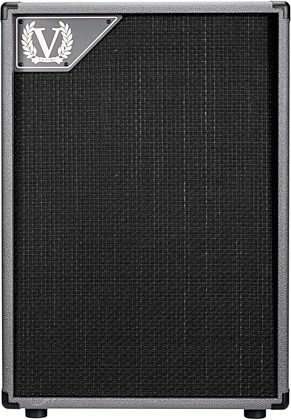 The Victory V212-VG Compact Guitar Speaker Cabinet is rated at 120 Watts and loaded with 2x12 Inch Celestion Vintage 30 woofers. Victory speaker cabinets are hand built in England using redwood pine for top and sides and quality Baltic birch ply for backs and baffles. Their speaker baffles are angled back by 2-3 degrees to help with projection towards you when you're playing. They're finished with vintage black woven grille cloth to match aesthetically -- and of course tonally -- with the Victory heads. The Vintage 30 is a very efficient (100dB), relatively powerful, large-magnet (Ceramic, 50 ounce) 12-inch driver. Clear highs, projecting upper mids and strong bottom end make it a favorite with players who like modern gained sounds and/or high headroom cleans with minimal speaker breakup/distortion. That makes it perfect for optimum clarity with VX The Kraken's crushing gains. Plenty of happy Victory players have said bye-bye to their 4x12 cabs after hearing these. 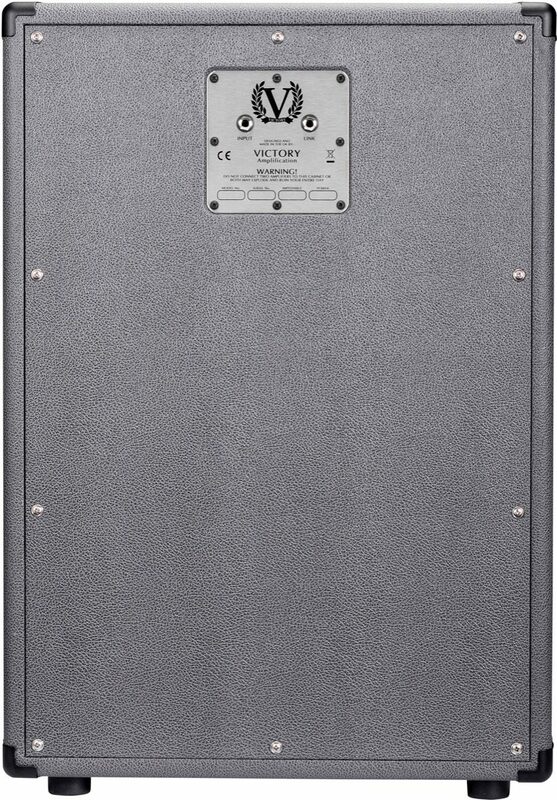 zZounds is an authorized dealer of Victory Amps products. close [x]More ExpectedWe have been given a date of Apr 26 for the arrival of this item. This date is not guaranteed, rather an estimate based on either information obtained directly from the manufacturer or historical delivery data for the specific manufacturer.